What Makes an Advertisement Worth Our Time? Entertainment and information are the primary two reasons why consumers click on certain online advertisements. As we use online media with a voracious appetite we will be bombarded with advertisements from every corner of our screen. Most we block out and skip over as we browse. Every once in a while something will catch the corner of our eye. Slowly but surely we switch our conscious focus from the topic of the day to the advertisement. We forced our brains to detach from its current thinking, switch modes and pay attention to something else. Only advertisements that are seen as worthwhile will have the ability to do that! According to research on reference groups media sources that are both entertaining and informative are seen as having consumer value (Mahmud, Shareef, and Nripendra, 2017). Associative, Aspirational, and Market Generated reference groups were analyzed online to see what which were of highest value. Associative reference group: A non-referral reference group that act as market mavens and opinion leadership. Aspirational reference group: A reference group we would like to follow. 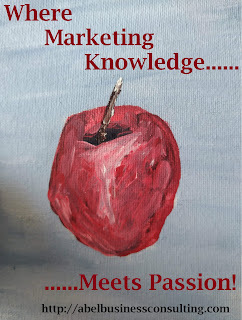 Market-generated group: A viral marketing campaign put in place by professionals. The study was exploratory by nature and used the theoretical framework advertising value model. What the study does tell us is that people trust sources that are more organically driven and are not necessarily "pitches". When we engage them through with something entertaining we can also then provide them new information. That is really cool! You engage consumers attention and then move into providing them important information that reaches a conclusion. Advertising success comes through well thought out marketing campaigns that are specifically focused on your target market. If you don't know what your target market likes and wants then you don't really have a pin point gauge of your marketing campaigns. 1. Create entertaining ads that at least first focus on gathering consumer attention. This may be putting eye grabbing content in the beginning and then more information infused throughout the ad and toward the end. 2. There must be relevant information provided to the consumer that makes their continued interest worth their time. 3. In the online world the type of person who is spreading and sharing the content determines its perceived value. Thus, creating advertisement that is "cool" and interesting makes a difference in who spreads it and why they do so. 4. Consider infusing your informational content with your entertaining story (i.e. content and story line convergence). Adult Bullying usually starts in early childhood and can continue throughout life without behavioral adjustments. You can see the earliest signs in adolescents with rude or aggressive behavior toward younger or weaker siblings. A unique mix of genetic background and environmental factors interplay to create a problem that may never have manifested. A single traumatic event can start the dysfunctional thinking pattern. In other words, a temporary frustration becomes a life long dysfunctional pattern. The end result is aggressive sibling behavior into adulthood that breaks apart families and causes unnecessary conflicts. The hitting and kicking may end but the ostracizing and name calling continue in its more sociably acceptable form. Professor Dirks from the McGill University's Department of Psychology found that hitting, calling names and leaving siblings out of games is a form of aggression in children and when it occurs regularly is a sign of more serious emotional and behavior problems (Medical Press, 2019). The emotional problems of the child become the root of their aggression towards others throughout much of their lives. It doesn't always change when we get older. Adult bullies are following many of the same emotionally learned behaviors from childhood. Limits on that behavior are small and only on what they can get in trouble for. Their environment, parents and predispositions worked together to create a destructive personality. It is hard for bullies to tap into their deep seated fears and emotions to conquer their tendencies. Often they have no prior parental models to rely on. Let us go back to our previous example of Cindy. Cindy showed signs of inappropriate aggression as a child. Strangers, on more than one occasion, confronted the parents and encouraged them to teach their child not to attack others through comments, pushing, and general mean behavior. The parents were not happy to have a "noisy outsider" come in and tell them what to do. Those from outside the family unit had a more appropriate reference. One could also leave for a long period of time, change, and grow and come back and now recognize the behaviors that once seemed appropriate as dysfunctional. They left the group and how they perceived their world to formulate a new understand of acceptable boundaries. Getting away made all the difference in the end allowed for more understanding but further conflict as boundaries are enforced. Sometimes parents modeled such behavior through their own lack of emotional awareness and their constant arguing and fighting. As the stress level rises for both siblings, who are in their formative years, they take on new personality traits. They begin to model the parents behavior. The older one gets more aggressive and the younger one gets more shy. They create a new trajectory of development based on the paths the parents set. They are not fully themselves until later in life. The formative years are important for developing personality. Poor parental behaviors leads to a cycle of poor behavior as adults. Abused children sometimes abuse others. They may abuse their siblings or abuse their own children. They learned to hate because of their own personal pain. Frustration puts them over the top. To overcome this one must delve deep into the causes and go through a period of growth. The psychological scars of bullying last a life time. If a child is raised in this environment he/she will struggle to see the world in a way that "normally" raised children will see it. The psychological scars can cause social difficulties, anxiety, depression, internalization symptoms, suicide and eating disorders (Sansone & Sansone, 2008). Many times the victims don't even know that they have an issue. Because these are so deeply rooted they are not easy to fix. A few of the exceptionally strong are capable of overcoming the pain and draw strength from it. Others simply just get buried in their pain and destroy their own lives. Those that overcome have few to no matches of personal strength because it is they who had to view a new world. Most normally raised children never had to struggle to that level. There is truth to strength through pain. Supporting kids is important in society because those kids may someday be tomorrow's leaders. Some will make it to the top;others maybe not. Despite their challenging backgrounds most grow up to be successful and contribute to society in meaningful ways. It is a corporate responsibility for companies to get involved to protect youth and encourage them to develop Tomorrow's world is built on what we will do for these kids today! I can't imagine the horror that some of these children have gone through. Abused, rejected, no family, no one to love them, and no one to take care of them! Financially strapped orphanages take in these lost kids and give them a chance. It is through the good hearts of people like you they have a chance to fulfill their true destinies as doctors, lawyers, mothers, fathers and employees. Evening with limited resources the orphanage leadership has done a great job. I have visited a few of the orphanages and they may look old...but they are clean. Nothing particularly new but everything had that bleach smell of hospitals and my grandparents home. No bacterial will survive there. Their lives go on despite their abusive background.There are books and people to read to them. They play games and they deal with their issues with the help of psychologists. The orphanages help them learn how to use a computer and attend college when they are older.They are given the support they need. However, a single expensive dental bill can put pressure on everyone. There is a cost to supporting these kids and that is something that you can help with. How big is the problem? There are somewhere around 400,000 homeless children in Mexico of which only around 30,000 receive help (1). This means that the vast majority of children receive no help, roam the streets and work as laborers. Many of those orphanages have little money, oversight, or help. Well run orphanages can make a big difference in the lives of people! Most people feel they simply can't afford to help out with their limited budgets. Something as small as $5 can make a difference. It may not pay all the bills but it could buy laundry detergent or toothpaste which frees up resources at other areas. I guarantee you that your morning coffee will not make you feel as good about yourself as helping one of these kids. Abel Business Consulting, LLC helps support these children. It isn't all about money and profits! We live in a world and while we work on growing our business consulting experience we will support organizations like this. At present we are visiting the orphanages, help in fundraising, and teaching the kids fitness. In the future we would like to help them learn more about business and the lives they are destined to live! Do you know what degree you want? Many students have no idea what to study! They aren't always sure where they are going or how they are going to get there! The sheer volume of options at colleges can be confusing and the inexperience of the student makes picking an academic path that could have serious consequences for rest of their lives. Your heart, personal skills and your financial ability should guide students as they determine which degree to select. First, let us understand that the process of picking a particular degree should not be taken lightly or without sufficient thought. While some students switch their degrees in college it can still cost them wasted money, time and opportunity. Before entering college students should try and gain as much awareness about their personal needs as they can. Heart: What do you want to do in life? Some of us would love to be an artist or performer but at the end of the day we must pay the bills! If your heart tells you to do something then you will want to spend some time thinking about what particular fields mean to you. Use your heart to determine where you should first start looking. If you "hate" your line of work you are going to be miserable. Skills: Most people come with some level of innate skills they can enhance throughout their lifetime. Because maximizing ones value means capitalizing on existing skills it is helpful to first understand what those skills are. Choosing a degree that helps you in those skills is important for career growth and development over one's lifetime. Finance: Not all degrees are financially worth the same on the market. That doesn't mean that not all degrees have value but not all degrees are appreciated by the market through successful gainful employment. Look at the cost of education and the need (compensation) of certain degrees. Engineers, Marketing and Medical Degrees are in greater demand then say ancient literature even though both contribute to society in their own way. There is no perfect life or perfect career...so expect bumps and a possible career shifts within a normal life! The goal is to help students pick a career that suits them better than others. Some may make lots of money but be limited in their enjoyment while others do something more meaningful and don't make much money. Don't make money your only goal but learn to balance your financial needs with your personal need of life and then just take a leap of faith! Researchers sometimes feel pressure to return results and generate them quickly to satisfy interested parties. This pressure becomes ever so apparent in businesses, universities, and organizations that want and need results in a way that sometimes leads to sub-optimum research results. Studies that rely on the "human element" of thinking abilities in the analytical and creative domains might need a cushion built into their resource and time projections. In other words, "Don't promise the world!" Go for something a little less to make your stakeholders happen. It is a little like sales...if you offer customers three weeks to completion you should be able to do it reasonably in two. Promise lower than your capable of delivering! Science and creativity thrive when you work at a pace that allows you to stop and ponder potential solutions. If you can go faster in some areas without impacting research quality there isn't a strong reason why a researcher can't create additional efficiency. The results suffer when time and resource pressures push researchers to cut corners and make mistakes. Set your deadline and work at a consistent pace but don't rush anything critical to the study's outcome and don't be afraid to take a break if you need to ensure that your creativity is recharged. Often we start with lofty needs and desires and then find out that things get delayed, results take time, there are administrative road blocks, funding issues, and much more. We have the best intentions but the end of the day things are very different. A few missed deadlines and you turn into someone who is sinking fast by shortcoming your long-term results for short-term gains. There are a few tips that may help you consider the truer time for time allocation purposes. 1. Overestimate the Time it Takes: Research takes time, lots of time, and more time than you think. Once you have a good idea of what it will take you add 20-30%. That way a delay in processing, activity, or late discovery don't disappoint the stakeholders. 2. Build a Cushion in Financing: One of the worst things that can happen while conducting research is to run out of money. To avoid this it makes sense to have some additional funds available you can tap if expenditures run over. 3. Build in off time and alternative activities: Creativity takes time and effort. You should consider that no human can run 100% all the time. Researchers know they can devote themselves to a research cause. This OCD nature of researchers also means they need to build in down town to maintain maximum creativity and productivity. 4. Understand the Human Element: The human being is complex so it is important to understand that creativity and performance are based on internal dynamics and understanding. Research should explore ideas through mental play called creativity. Understand how the brain solves problems keep the human element part of the process. Running a business off referrals is the gold standard of having an established name. You do such great work and have such a great product that people share you as a resource! This is when advertising for new customers takes less time and maintaining relationships takes a little more. Referrals is where you want to be in the long run. When you can run your business on referrals everything becomes easier. People see you as a credible business and are actively passing your name. These referrals indicate that your business is working well within its social networks. What is a social network? It is a system in which people act and interact on each other. They share information and resources. They defend each other and look out for each other's needs. In essence, they are system of people. Getting in with the right people makes a difference in your business. If groups of people see you as credible and like what you have to offer they will naturally want to share that resource with others. For example, if you need estate planning then why not go to someone everyone knows? Your resume gets you the call but the interview gets you the job! Its true...we as a people want to see, talk to and determine if we relate to someone before we hire them. It is a little like a marriage in the sense that we must be stuck in that relationship for some time. When you walk into that room here are a few tips that might help you earn that job! 1. Look and Dress Neat: People judge...that is what many people do. They judge you from your very first appearance. Make sure you look great with tie and suit. Don't get fancy and dress neat. 2. Research Their Business: Make sure you research their business. If you know about their sales, revenue, markets, your job, etc... you are prepared to put your answers in context. They will know this! 3. Be Confident but Not Cocky: Be confident in your knowledge and skill but don't be cocky. The minute you get cocky is when you start looking more like a liability as a hire. 1. Lower amount of time spent attracting clients. 2. Higher return on investment of monies spent. 3. More motivated customers that are willing to make a purchase. Not all sites are build the same. Social media is a growing method of reaching people. The Internet offers opportunities for people to connect and share information and knowledge. It is that sharing capacity that is currently driving marketing. Facebook-You can do a lot of stuff with Facebook that is easy to use and ready made. Twitter-A lot of people watch twitter everyday. I get most of my hits from there. Instagram-Put up a picture or flyer and people share it. YouTube-Create a video that people want to watch and this can lead to influence. 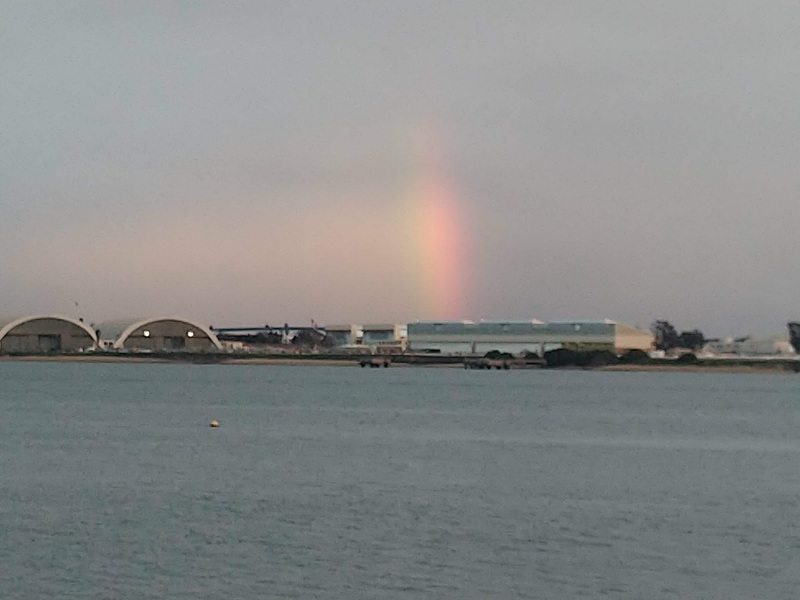 Rainbow Over the Military Base-Thank you for your service! 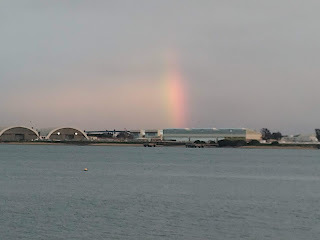 Very nice rainbow overlooking the Navy Base. I guess the "pot of gold" is our military!!!! Thank your for your service!